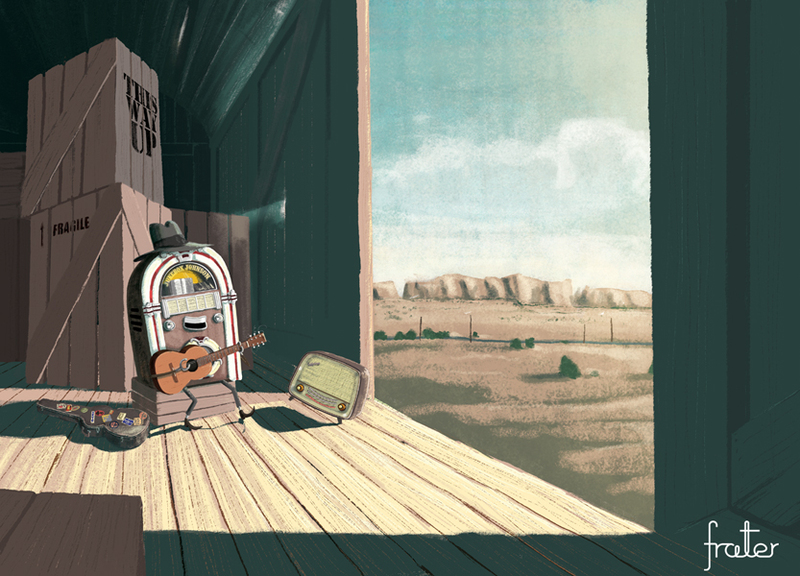 This is a concept piece of an idea for a rambling, mini jukebox. Based on a comic strip for Fat Chunk comics last year, this is a development on from that. This entry was posted on Friday, February 13th, 2009 at 5:24 pm	and is filed under Sketchbook. You can follow any responses to this entry through the RSS 2.0 feed. You can leave a response, or trackback from your own site.